The COmPLETE-Project is realised at the Medical Faculty of the University of Basel at the Department of Sport, Exercise and Health under the lead of Prof. Dr. med. Arno Schmidt-Trucksäss. COmPLETE's inter-professional team is composed of Exercise Physiologists, Physicians and Statisticians. 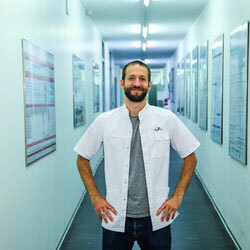 Arno Schmidt-Trucksäss is the Head of the Division Rehabilitative and Regenerative Sports Medicine at the Department of Sport, Exercise and Health, University of Basel. 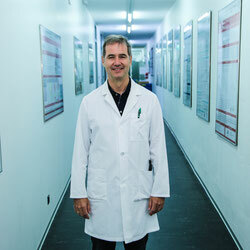 He holds national board certification in Internal Medicine and Sports Medicine. 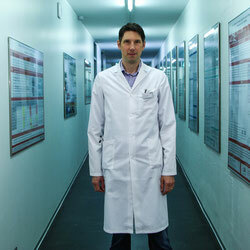 His research focus is the evaluation of physical fitness and its importance to health. Prof. Schmidt-Trucksäss sees the characterisation of healthy human organisms in the process of ageing as essential for the early detection and differentiation of heart and lung disease. This characterisation is required to practise personalized medicine, as well as, to apply sport and exercise as a medication. Jonathan Wagner studied at the University of Basel from 2012 - 2015 and graduated with a BSc in Sport, Exercise and Health Sciences. He earned his master's degree in Exercise Physiology at Loughborough University in England. Currently he is working as a research assistant in the Division for Rehabilitative and Regenerative Sports Medicine and is doing his PhD research in ‘Advanced cardiopulmonary exercise testing in health and heart disease, and aging phenotypes’. 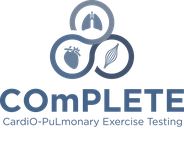 Jonathan Wagner is firmly convinced of the potential of cardiopulmonary exercise testing to diagnose heart and lung disease and is highly dedicated to further develop this method. 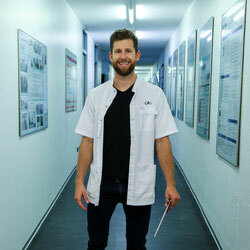 Raphael Knaier completed his Bachelor (BA) in Sport Science/ Public Health at the University of Bremen, Germany and his master's degree in Sport Science: Diagnostic and Intervention at the University of Leipzig, Germany. 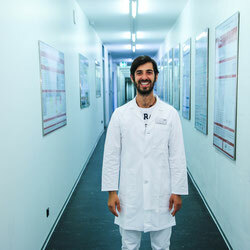 After that, he was appointed as a research assistant and PhD candidate at the University of Basel in the Division for Rehabilitative and Regenerative Sport Medicine. As part of his PhD he carried out numerous cardiopulmonary exercise tests in elite athletes as well as in clinical populations. Raphael Knaier is looking forward to bringing his experience to the COmPLETE-Project and to carrying out research to further develop this promising method together with his team and partners. Associate Professor Dr. med. Timo Hinrichs is Deputy Head of the Division Rehabilitative and Regenerative Sports Medicine and senior physician of the Sports Medicine Outpatient Clinic at the Department of Sport, Exercise and Health, University of Basel. He holds national board certification in Physical Medicine and Rehabilitation and in Sports Medicine. His research focus is on age and ageing with special interests in the age-related decline of physical function and mobility; the relationship between multimorbidity, functioning and the environment; methods of assessment of functional status; the benefits of physical activity and structured exercise; and the implementation of mobility assessments and physical activity programs for older adults in primary health care. 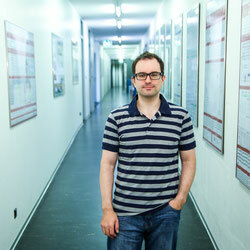 Denis Infanger was awarded a Master of Science in Ecology in 2008 from the University of Basel. 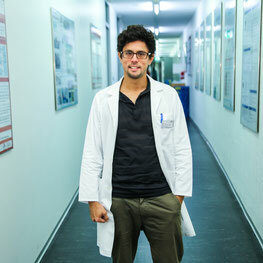 He holds a PhD in epidemiology which he earned in 2012 from the Swiss Tropical and Public Health Institute (Swiss TPH) at the University of Basel. After his graduate studies, he worked as a research associate and statistician in research and the pharmaceutical industry. The core team is complemented by Sport, Exercise and Health Science students, who are completing their BSc- and MSc thesis within the COmPLETE-Project.